A Beautiful Morning in Berkshire. Sometimes you have to get up early to get the best shots – like this one, taken as the sun came up over the Lambourn gallops. The gallops, owned by the Jockey Club and situated near Upper Lambourn in Berkshire, are used by trainers to prepare horses for racing. 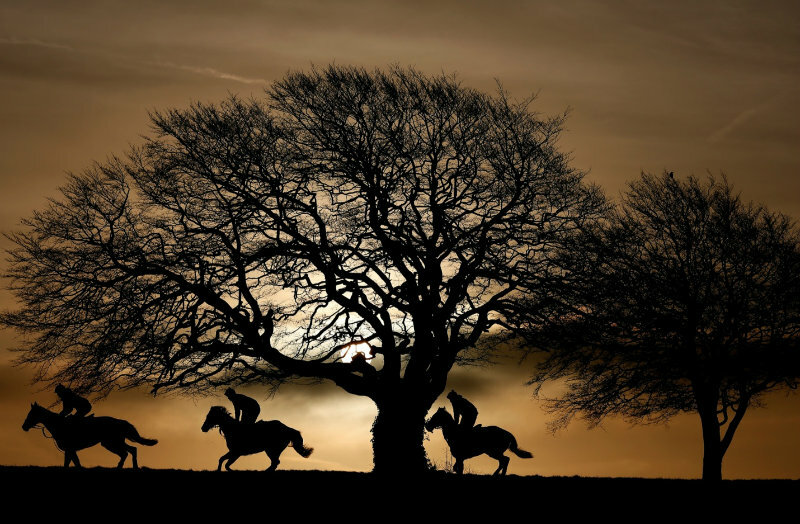 A general view of racehorses training on the Lambourn gallops as the sun begins to rise. via Sport picture of the day: Oh, what a beautiful morning | Sport | The Guardian. ← Unusual Christmas decorations from America.